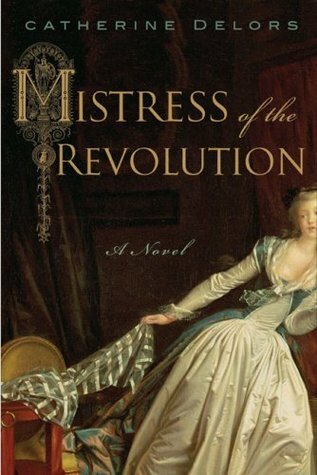 A few years ago, I discovered Catherine Delors through her excellent historical novel For The King, so I decided to read her previous one, Mistress of the Revolution. 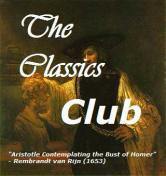 The book opens in London in 1815, about 20 years after the French Revolution. The narrator Gabrielle de Montserrat reminisces about these events and the following years by writing about them. After difficult beginnings in the Auvergne region, she is taken to Paris and presented at the court of Versailles, where she is introduced to all the intrigues and affairs. She is helped financially by Villers (a Duchess’s son) and becomes his lover. He gets politically involved, on the wrong side when monarchy is soon to be ended. Gabrielle is by now lady-in-waiting to the Countess of Provence (the king’s sister-in-law). She ends up getting arrested herself. Will she humble herself, and try to get help from Pierre-André, the sweet heart of her youth, a commoner who made his way up and has now strong political influence in Paris? Would he or even could he really help her? I’ll let you read the book to figure out. I found the novel to be somewhat longer than needed. However, the author did an amazing job on the historical background, before, during, and after the French Revolution, with all the main characters and political parties of the time, basically from 1784 to 1794, including a bit on Napoleon. There were fantastic descriptions of life at Versailles, reflecting quite well it seems what the common French people thought about Marie-Antoinette once she became queen. There’s hardly any sympathy at all shown here in the narrative toward her. There was maybe a bit too much of romance elements in this historical novel for me, but it will make it dearer to those who like the mix of romance and historical novel. A singular new voice in historical fiction. A time of decadence in a country embroiled in revolution. An unforgettably high-spirited heroine. Set in opulent, decadent, turbulent revolutionary France, Mistress of the Revolution is the story of Gabrielle de Montserrat. An impoverished noblewoman blessed with fiery red hair and a mischievous demeanor, Gabrielle is only fifteen when she meets her true love, a commoner named Pierre-André Coffinhal. But her brother forbids their union, choosing for her instead an aging, wealthy baron. Widowed and a mother while still a teen, Gabrielle arrives at the court of Louis XVI and Marie Antoinette in time to be swept up in the emerging cataclysm. As a new order rises, Gabrielle finds her own lovely neck on the chopping block and who should be selected to sit on the Revolutionary Tribunal but her first love, Pierre-André. 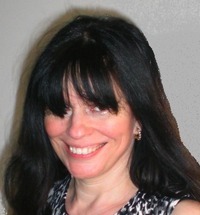 Author of Mistress of the Revolution and For the King (publication date: July 8, 2010). Both are historical novels set in Paris around the time of the French Revolution. Catherine Delors was born and raised in France. She is also an attorney with an international practice, and splits her time between Paris, London and Los Angeles. This entry was posted in Historical novels, Reading Challenges and tagged Catherine Delors, French Revolution, Louis XVI, Marie-Antoinette, Versailles by WordsAndPeace. Bookmark the permalink. Ooh, this one sounds good. Adding it to my list.